Why India forgot its ‘plastic man’ and his incredible innovation? An incredible solution to deal with mounds of plastic waste was invented by an Indian scientist about a year ago. 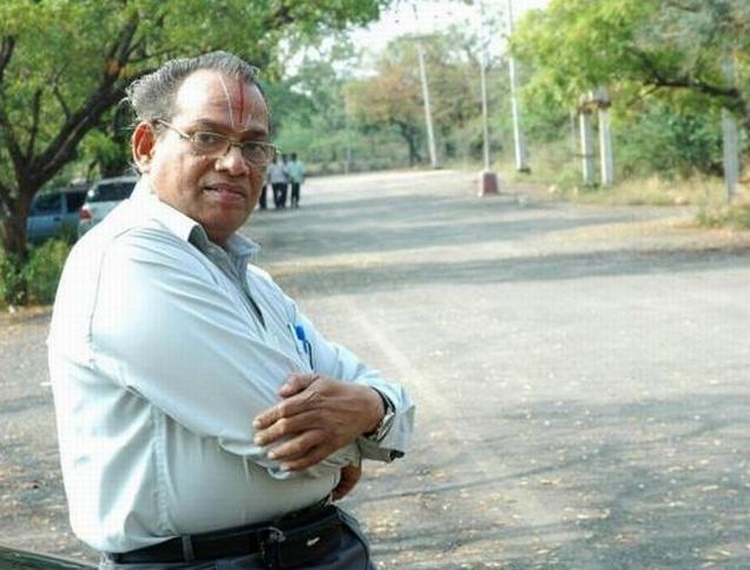 R Vasudevan, Maduari-based chemistry professor, is known as ‘Plastic-Man’ of India for his innovative method to reuse plastic waste to construct better, more durable and very cost-effective roads. The roads will also show greater resistance to damages caused by water during rains. India didn’t take him seriously, but a foreign nation is now at the verge of being first to install ‘plastic roads’. The Netherlands engineers are testing the same technology patented by India’s Vasudevan. 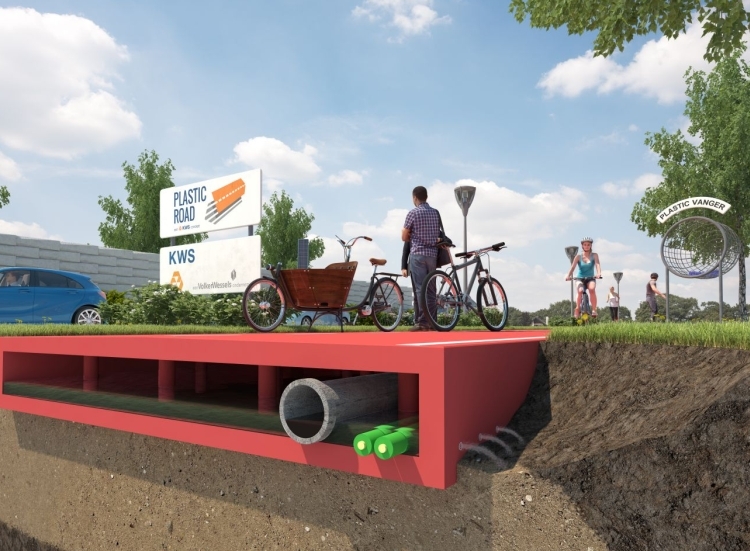 A Dutch company VolkerWessels will collect plastic waste from the ocean and recycle it to built roads. The plastic is molded using blue metal and shaped into pre-fabricated bricks. The roads can be installed and removed quickly. 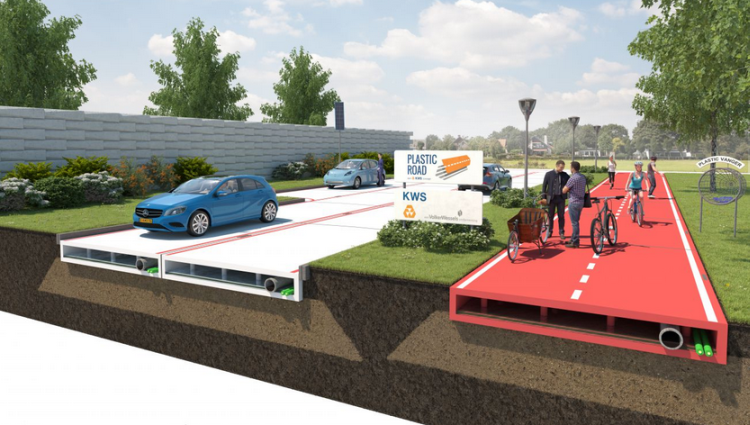 Vasusdevan had tested his plastic roads and came out with fascinating results and promising prospects of this method. However, the initiative that was accepted by the governments of various states in India disappeared soon. There is no hint why it is so? Now, Indians are reading this news that a foreign nation is benefiting from an idea that was originally conceived and patented by an Indian scientist. India has a large network of roads. Along with this network, India is struggling with littering of plastic wrappers, packaging, bottles, etc. India’s open garbage heaps and landfills are world renowned. Other countries are showing pictures of India to educate their citizens about the ugly consequences of poor waste disposal and ineffective government policy formation for solid waste management. Another advantage of Vasudevan’s method is its simplicity. It requires no significant technical knowledge and no large investments or changes to existing road-laying procedures. His whole operation is a good example of the Indian method known as jugaad, or “frugal innovation.” Jugaad makes a virtue of necessity: It extols the work-around, the shortcut that uses (and sometimes improves on) limited resources. In terms of amount of plastic waste produced, Netherlands is in a much better state as compared to India. And, this method could prove a boon for road construction in India. At the same time, it can eliminate plastic waste and help empty huge landfills. Still, Indian government isn’t showing much interest to clear path for implementation of the plastic road project. Nevertheless, in coming years, all developed countries will be grateful to this great Indian scientists known as India’s Plastic Man.